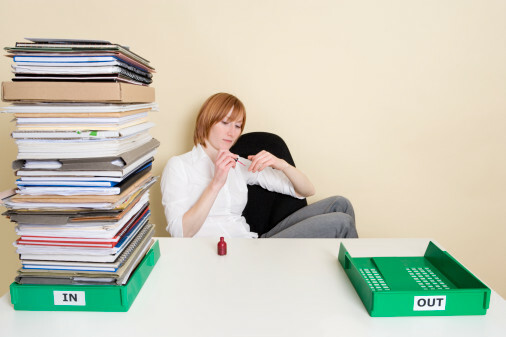 image sentence: The woman loved to procrastinate and was soon fired. How to use Procrastinate in a sentence? 1. I need to do my homework, but i keep procrastinating. 2. My mom told me not to procrastinate, but I’ll do it later. 3. I wish that I knew why I always procrastinate and leave my homework until Sunday night. 4. When the lazy squirrel ran out of food in the winter, he learned it was unwise to procrastinate. 5. My project is late because I constantly procrastinate. 6. If you procrastinate about making a purchase, you might not be able to buy the item later. 7. If Kelly did not procrastinate so much, she could meet her daily work goals. 8. I usually procrastinate when I have to pay my bills. 9. Procrastination is the worst habit that a student can have. 10. If one doesn’t procrastinate they can finish their work early and then enjoy the free time. 11. Most of the kids have a habit of procrastinating and putting off their homework to the 11th hour.